Powered by Google's intuitive Android OS is elegantly designed to include a glass touch panel. 7" LCD multi touch-screen for enhanced graphics display and simple navigation with the swipe of a finger. Guided Cooking - A pre-programmed guide of popular dishes preset to eliminate the guesswork associated with cooking times. 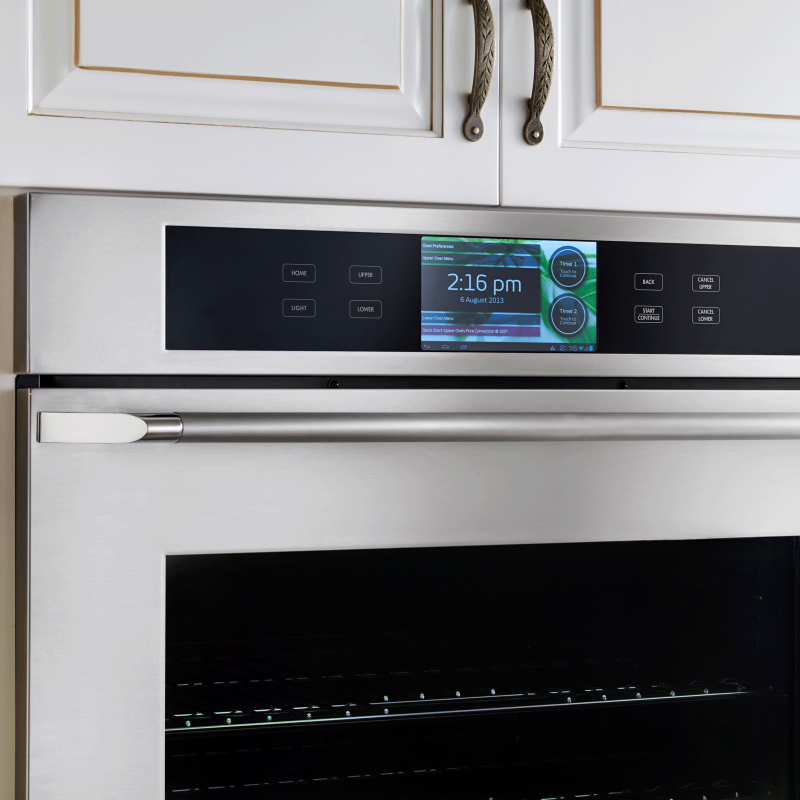 Quick Start - Adjusts the temperature and cook time of each oven manually. My Modes - Allows the user to program and store custom cooking presets. Dehydrate Mode - An easy and efficient way to dehydrate raw whole fresh foods, preserving the natural nutritional value and taste without using artificial preservatives. Offers a convenient way to update the iQ application and access the internet including other third party applications available through the Google Play Store. Allows for a wireless connection between Bluetooth enabled devices. System with fan, convection heating element (2,200 Watts), air baffle and convection filter, reduces cooking time. Provides superior heat distribution, and eliminates flavor transfer. Accommodate large dishes and meals. GreenClean steam cleaning technology cleans light built-up in 30 minutes without the use of high heat or harsh chemicals. Hidden bake element for easy clean up. 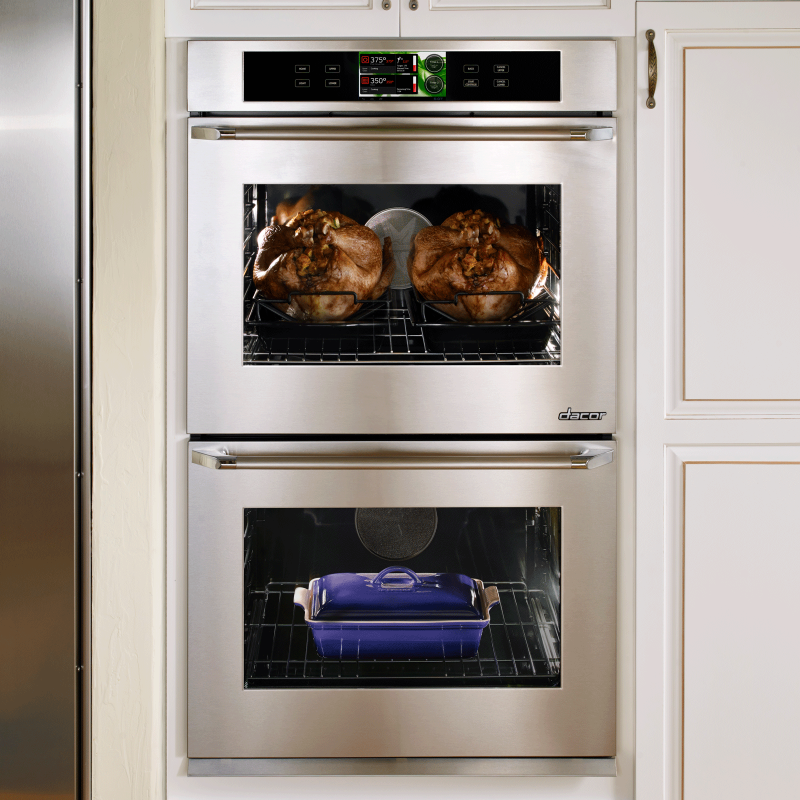 Uses an 8-pass radiant ribbon element to broil food quickly and evenly with an almost infinite range of temperatures. Jet black porcelain oven cell won't discolor. 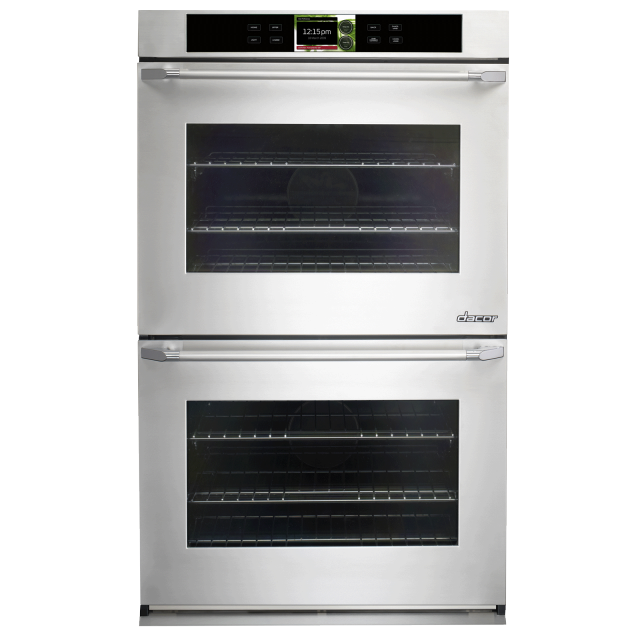 Fully extends out of the oven using a smooth gliding ball bearing system. Equipped with a convenient handle in front for moving heavier dishes in and out of the oven easily. Equipped with a convenient handle in front for a secure grasp. It is the details that make Dacor Wall Ovens unique and I absolutely love mine. It has Unique features like multiple cooking modes I like the fact it gives me much more precise control when I'm cooking. Extremely happy with this wall oven.